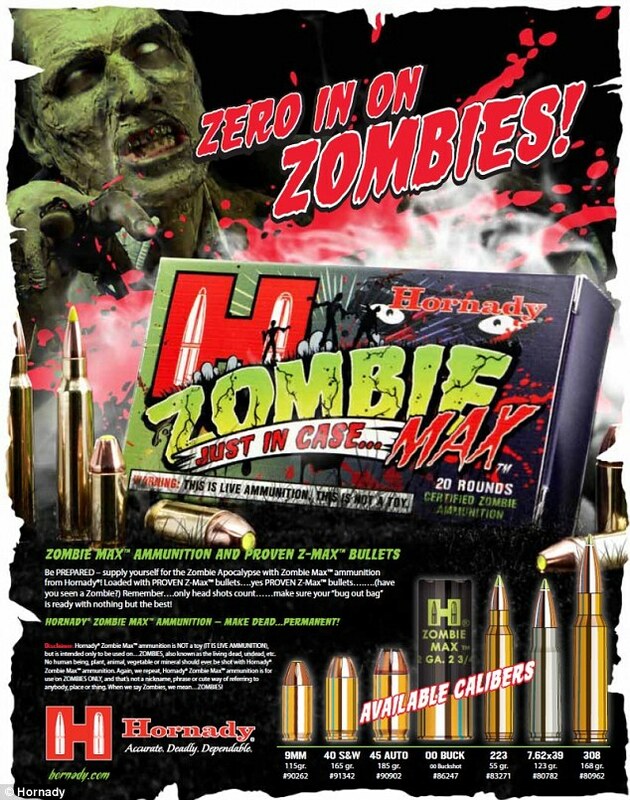 The ammunition, branded as Zombie Max offers Proven Z-Max bullets, is live ammunition, but is actually only intended for use on targets – not people. Hornaday spokesman Everett Deger told WWJ Newsradio 950 that the company’s president has a love of zombie culture – including popular shows like the Walking Dead – and was inspired to make the bullets in honour of the cultural phenomenon. 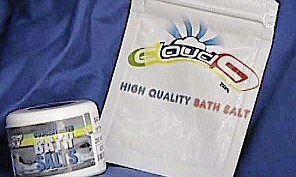 The 'bath salts' sold under the name Cloud Nine are likely to be stimulant drugs such MPDV or ephedrine. 'Bath salts' does not refer to a single chemical, but instead to a range of synthetic drugs that can be sold legally in the U.S. as long as they are not marked for human consumption – hence the misleading name. Various different compounds use the name 'Cloud Nine', and it's still not confirmed which exact chemical was in the drug reported to have caused these attacks, but some reports have pointed the finger at MPDV. The chemical is already illegal in Florida – although other 'bath salts' remain perfectly legal in the state. ‘We decided just to have some fun with a marketing plan that would allow us to create some ammunition designed for that…fictional world,’ he told the radio station. Mr Deger noted that the bullets are some of the ammunition company’s most popular products. The news comes as two more cannibal attacks have been reported in the US as police warn of a dangerous new mind-altering drug called Cloud Nine. 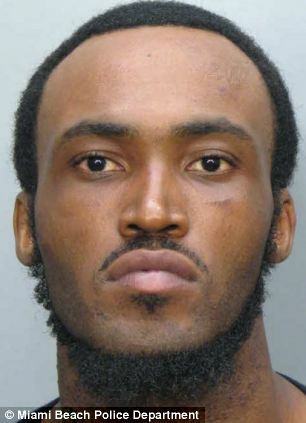 Last week Rudy Eugene - who is believed to have taken the over-the-counter ecstasy-like drug - growled at officers as he chewed off most of a homeless man's face before being shot dead by Miami police. Since then two further incidents have been linked to the substance, which is part of a new line of 'bath salts'. The second occurred on Saturday when a snarling homeless man, identified as Brandon De Leon, threatened to eat two officers, echoing the Miami attack. A third incident took place in Louisiana where Carl Jacquneaux, 43, bit off a chunk of his victim's face. Miami police have issued a warning about Cloud Nine and told their officers to exercise extreme caution when dealing with homeless men who appear to be acting unusually. Police investigating the case of Rudy Eugene, who ate the face off a homeless man, say as well as being naked, he was carrying a bible. Some pages had been ripped out of the book and were found close by, according to CBS Miami. A preliminary toxicology examination has also found that the 31-year-old had been smoked cannabis shortly before the incident. They were forced to fit 21-year-old De Leon with a Hannibal Lecter-style mask after he was arrested for disturbing the peace in North Miami Beach. When put in a police cruiser De Leon slammed his head against the plexiglass divider and shouted at officers, 'I'm going to eat you', NBC Miami reported. He then growled, gnashed his teeth and tried to bite the hand of an officer attempting to treat his head wounds. 'Brandon growled and opened and closed his jaw, slamming his teeth like an animal would,' the report said. Miami police said they believe he was on a cocktail of drugs, including Cloud Nine. In a second case Carl Jacquneaux, 43, is accused of attacking Todd Credeur at his home in Scott, Louisiana, over the weekend after he became upset following a domestic issue. KATC reported that Mr Credeur was working in his front yard when he was attacked. Mr Credeur reportedly managed to spray Jacquneaux in the face with wasp spray to stop him from eating any more of his face. Jacquneaux then allegedly left the home and went to another man's home where he held him at knife point and stole a hand gun. This is where police found him and arrested him. A friend of the victim said she believes Jacquneaux was under the influence of Cloud Nine, which is the same drug which is believed to have been taken by the 'Miami Cannibal' Rudy Eugene. Eugene ate the face of homeless man Ronald Poppo in Miami last week and a police memo to officers has highlighted the dangers surrounding the drug's use. It warned the De Leon case 'bears resemblance to an incident that occurred in the city of Miami last week, when a male ate another man's face'. 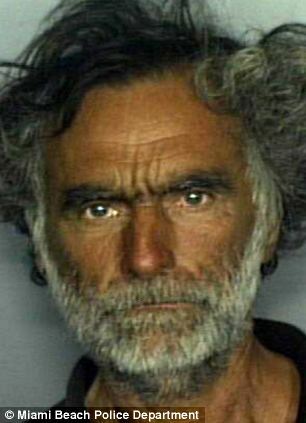 Police have suggested Eugene was under the influence of the synthetic stimulant usually sold in drug paraphanelia shops. Cloud Nine is 'addictive and dangerous', the memo said, part of a 'disturbing trend in which new drugs are sold in the guise of household products'. The drug, which is also as Ivory Wave in the U.S., comes in harmless-looking packets, police said, adding that it is illegal in Britain and Australia. The potentially addictive drug stimulates the central nervous system and symptoms include heart palpitations, nausea, hallucinations, paranoia and erratic behaviour. 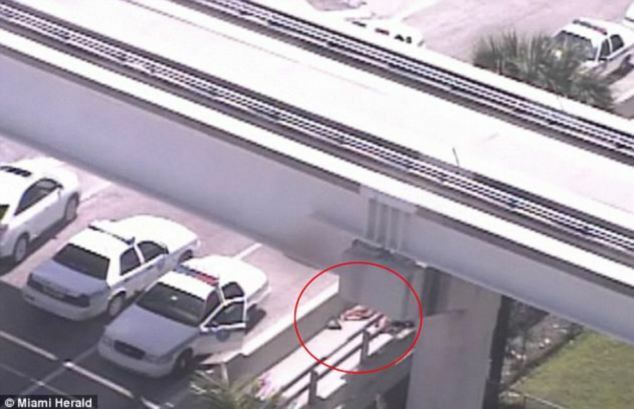 The series of shocking incidents began on May 26 when a naked Eugene encountered his victim, 65-year-old Ronald Poppo, who was sleeping in the shade on elevated train tracks. In surveillance footage from the nearby Miami Herald building, Eugene was seen struggling with the naked homeless man, throwing him to the ground and then tearing into his face with his teeth as cars and bicycles sped by. About 18 minutes into the attack, an officer appeared on the scene and yelled at Eugene to stop, but the 31-year-old just growled at him and continued chewing Poppo’s face. The officer then opened fire on Eugene, shooting him to death. Poppo remains in critical condition at Jackson Memorial Hospital with his nose, mouth and eyes torn off. He faces months of treatment to rebuild his features and psychological care. Controversially this week the scene of the attack on Poppo has been Miami added to sites visited by a tourist tour's itinerary. The famous Miami Mystery & Mayhem: Crime Tour tour led by Miami-Dade College professor Dr Paul George will stop on the road that connects downtown Miami to popular South Beach. In a completely separate case not involving the drug, Canadian Luka Rocco Magnotta has been sent back to his country from Germany after an international manhunt. He is alleged to have killed his partner, Jun Lin, before eating parts of his body then chopping it to pieces that were then posted to different authorities. Mr Lun's head has not yet been found. 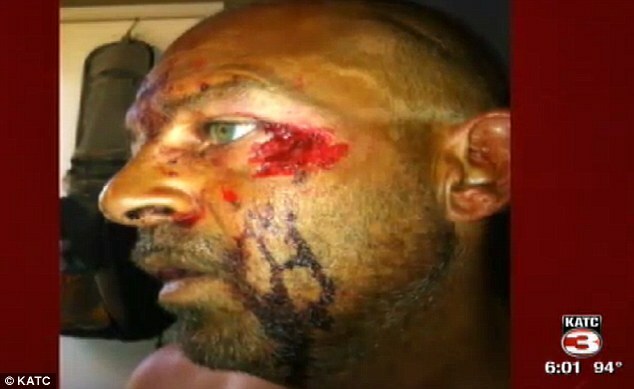 Since Rudy Eugene attacked and ate the face of homeless man Ronald Poppo on May 26 in Miami, Florida, while allegedly high on 'bath salts' there has been a spate of similar attacks. The 'Miami Cannibal' case shocked the nation after police had to shoot dead Eugene when he refused to stop eating his victim's face off. Poppo is now recovering in hospital with horrific injuries. 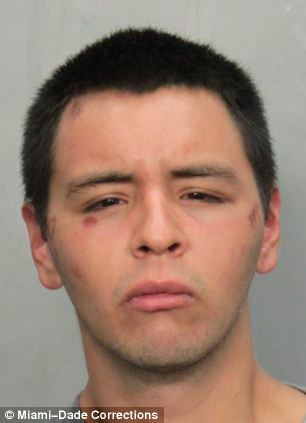 Brandon DeLeon, 21, was high on drugs and drunk on Four Loko on June 2 when he tried to bite off a police officer’s hand after he was arrested for disturbing customers in a Miami fast food restaurant. 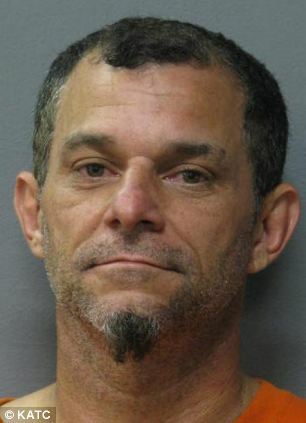 Carl Jacquneaux, 43, is accused of attacking Todd Credeur at his home in Scott, Louisiana, over the weekend after he became upset following a domestic issue. Alex Kinyua, 21, a college student, used a knife to carve up Kujoe Bonsafo Agyei-Kodie, 37, before eating his heart out and parts of his brain. 0 Response to "ON CLOUD NINE: BATH SALTS BY ANOTHER NAME... WITH STRONG COMPULSIONS TO REDOSE"